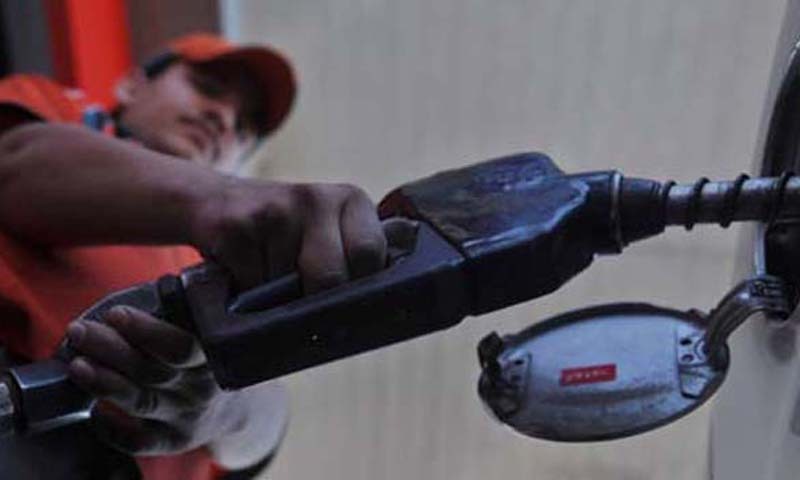 ISLAMABAD : Amid a controversy over legal status of profit margins of marketing companies and dealers, the prices of all petroleum products are estimated to be increased considerably on July 31, owing to price fluctuation in the international market and devaluation of the rupee. An official of the Oil and Gas Regulatory Authority (Ogra) said on Friday the price of petrol was estimated to be increased by Rs2.8 per litre, to Rs104.5 per litre from the existing rate of Rs101.7. The price of high speed diesel (HSD) may go up by Rs3.5 per litre to Rs110.26 per litre from its existing price of Rs106.76. The price of kerosene oil has been worked out at Rs99.94 per litre, an increase of Rs3.65. The price of high octane blending component (HOBC) is estimated to be increased by Rs5.5 per litre to about Rs129 per litre from its existing rate of Rs123.46. The light diesel oil price may go up by Rs3.45 per litre, to Rs95.6 per litre from its current rate of Rs92.17, according to the Ogra official. He said a working paper on oil pricing will be forwarded to the federal government on July 30, with the request to keep the prices unchanged at the existing level to protect the consumers from a general price hike and increase in the cost of transportation just before Eidul Fitr. He said that ahead of every Eid the transporters increased their rates, but any raise in the prices of petroleum products now would provide them with a justification to do so. Any hike in the prices of petroleum products at this juncture, therefore, would create problems for the government. Meanwhile, a crucial question of law has arisen over the size of the profit margins allowed to supply chain players, particularly petroleum dealers and oil marketing companies. Some officials in the petroleum ministry believe the government has allowed the companies and dealers to draw higher profits for two months without any legal cover. They say the profit margins allowed to companies and dealers should have been cut down two months ago but because that did not happen the consumers should be given relief now. However, senior officials of the petroleum ministry and Ogra, who did not take notice of the discrepancy in a timely manner, want the current dealer margins and company commissions to continue for another four months. At the heart of the dispute is a February 23 decision of the Economic Coordination Committee (ECC) of the cabinet that increased the margins of the oil companies and dealers on sale of petrol by 25 paisa per litre and 41 paisa per litre, as an interim arrangement. The same meeting increased margins for dealers and oil companies by 10 paisa per litre on the sale of high speed diesel. The ECC had decided that �a detailed study to establish basis for revision of margins of the OMCs and dealers should be carried out within three months and submitted for consideration of the ECC. Till that, the revision in margins as approved above would be treated as interim relief�. The decision resulted in an additional profit of about Rs360 million for the companies and dealers. Both the petroleum ministry and the Ogra failed to initiate any study. The interim period came to an end on May 31. Some officials in the petroleum ministry and the Ogra argue that since the two institutions had failed to conduct any study, the interim relief should have been de-notified and withdrawn under the ECC decision. The petroleum ministry has, however, sent a fresh summary to the ECC, which is expected to meet on Tuesday, to grant extension in the current margins for another four months as another interim arrangement. It said the previous ECC decision was implemented with effect from April 1. It said the Ogra had now been requested to �carry out the requisite study keeping in view their role as an independent regulator, so that a criteria or policy for revision of margins on petroleum products may be developed and submitted to the ECC for approval�. The ministry further claimed that �since the above study could not be completed within three months due to various reasons, it is therefore requested that additional time of four months after approval of the ECC may be allowed in this regard with the advice that Ogra should conduct and complete the requisite study within the proposed time limit�. Besides the import price parity of petroleum products, the high profit margins allowed to dealers and oil companies, the government is charging petroleum levy at Rs14 per litre on HOBC, Rs10 per litre on petrol, Rs8 per litre on HSD and Rs6 per litre on kerosene oil. On top of that the government has started charging 17 per cent GST on sale price of petroleum products as opposed to previous rate of 16 per cent.